Renault-Nissan-Mitsubishi, the world's leading automotive alliance, is launching the Alliance Intelligent Cloud, Alliance Smart Cloud sunma platform, which will provide the possibility of offering internet-connected services on models sold in about 200 markets. The first global Internet-related tool program of the automotive sector, which emerged with the collaboration of Nissan-Mitsubishi and Microsoft, will be implemented by Microsoft Azure using cloud, artificial intelligence (AI) and Internet of Things technologies. Azure will provide the Alliance with a global data platform to secure, manage and analyze vehicle data within its own ecosystem. Renault-Nissan-Mitsubishi Alliance Global Vice President of Internet-Connected Vehicles Kal Mos Kal With the introduction of the new internet-connected vehicle platform, Renault, Nissan and Mitsubishi customers will experience a whole new digital experience. With our collaboration with Microsoft, we are launching the world's most powerful and most comprehensive internet-connected vehicle platform. We have created an intelligent cloud platform that will be a reference in the sector by taking advantage of the Alliance's scope. " said. Jean-Phillipe Courtois, Vice President, Marketing and Operations, Microsoft Global Sales Vice President -We have a long-standing partnership with the Renault-Nissan-Mitsubishi alliance. The Alliance Intelligent Cloud platform will enable the introduction of a new generation of Internet-based services with Microsoft Azure support. " said. 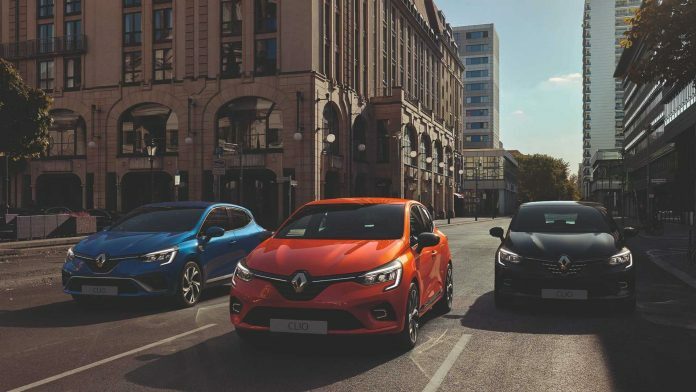 Models with Alliance Intelligent Cloud technology will be available in some versions of the new Renault Clio and Nissan Leaf, which will be available in Japan and Europe. These tools will be the first models to be equipped with Microsoft technology offered to the masses. The Alliance Intelligent Cloud platform uses tools such as uninterrupted internet access, remote diagnostics, software upgrades, and access to infotainment systems. Thanks to the Alliance Intelligent Cloud platform, Alliance tools will be able to connect to cities' infrastructure as smart cities develop.